The alcohol industry seems able to generate controversy on just about any aspect of its activities – pricing, branding, production methods, and now the use of the term ‘craft’. 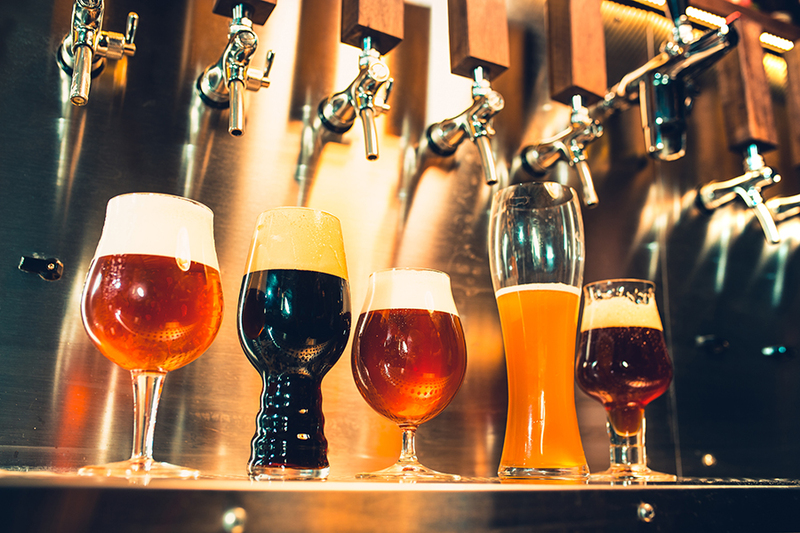 The Society of Independent Brewers (SIBA) is about to release its latest report on the independent brewing sector, which has found that some consumers may not know that their favourite craft beer brewer is in fact a small subsidiary of a large multinational drinks producer. For some, this will be unimportant – for them it’s all in the taste of the beer. Perhaps the wider availability that multinational ownership brings is positive, perhaps it doesn’t make any difference where the profits go. For others, realising that they are drinking something made under the auspices of Heineken or Molson, while claiming to be different to bland global beers or being marketed as an anti-corporate choice, leaves a bad taste. SIBA’s research and reporting on this takes on more significance when we think about how the products that we consume are actually made more generally. Two British examples demonstrate this very effectively. Church’s has been making shoes in the English town of Northampton since 1873; founded as a family-owned business, the shoes have gained a global reputation for quality and design. Today’s factory would probably be recognisable to 19th century cordwainer, and the process has changed remarkably little compared to other industries. High skill work continues to be the base of making these shoes, and human labour is key to that. Yet Church’s is owned by one of the giants of global fashion, Prada. In exactly the same way that some of the UK’s highest profile craft brewers, such as Meantime or Beavertown, are not independent, neither is Churche’s. Similarly, Birmingham is home to perhaps the most revered cycle saddle maker in the world, Brooks. Founded just a few years before Church’s, this family-owned company was bought by Raleigh in the 1960s, then sold on to Italy-based multinational Selle Royal early this century. Does that fact of ownership make hammering the rivets into the leather any less skilled or crafty? Recent research in organisation and management studies suggests that ownership is not the key to defining craft. Craft work is best thought of from the perspective of the maker and the object, and is present when objects are made with love and care, using the hand and eye to judge when the product is finished and ready to use. Ownership or size of the company doesn’t stand in the way of this kind of thinking or how to use the label ‘craft’. What does make a difference to consumers is the idea that brand consultants or marketing executives are somehow being dishonest. Advertising is an easy target for suspicious or sceptical consumers, but it can certainly seem like the term ‘craft’ is being used to describe objects that are not made with the care and human attention that we believe is fundamental to the idea. For that reason, SIBA’s efforts to define what an independent brewer is, and by association what craft means in brewing, are a positive development. The next report could focus more on the process of brewing and the brewers – that’s where the value lies in crafting.